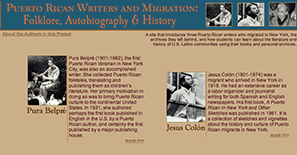 This resource draws attention to the written works and historical legacies of three Puerto Rican writers: Pura Belpré, Jesus Colón, and Antonia Pantoja. 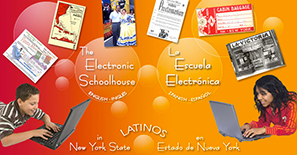 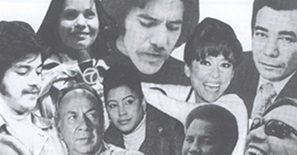 Using these digitized materials and supplementary content, students are encouraged to construct their own impressions of Latino literature and culture in the United States. 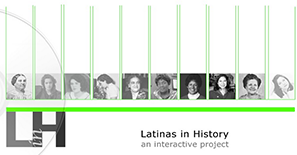 This ambitious joint project with the New York State Archives unites Latino-related holdings from nine New York State repositories, granting researchers access to an unprecedented amount of information on Puerto Rican history and visual culture in the United States, and enabling a community of enthusiasts and scholars to take part in the discourse.